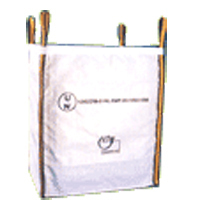 Shankar Packagings Limited - Manufacturer of form stabilised bags, cross corner bag & un bags since 1985 in Vadodara, Gujarat. 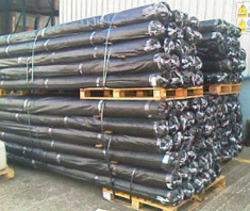 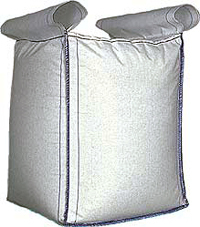 These are FIBCS with inner construction of baffles sewn to the main fabric so that the bags retain shape after filling. 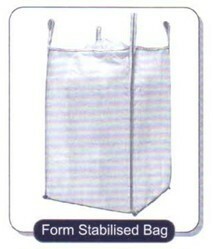 From Stabilized bags ensure... 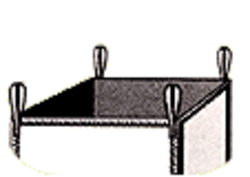 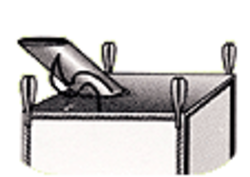 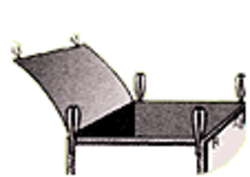 Saving in Space, Higher Stability after filling, and Retention of the rectangular shape. 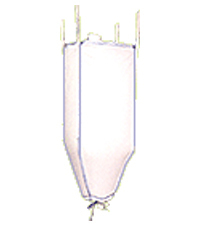 A Conical bag is shaped as a cone at the bottom. 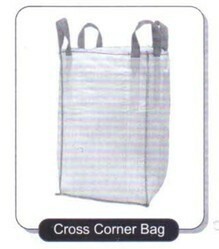 These types of FIBCs are especially suitable to pack Tacky products which are not so free flowing eg. 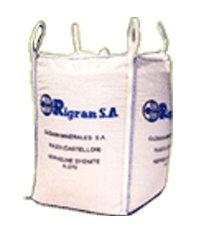 Clay, Slurries etc. 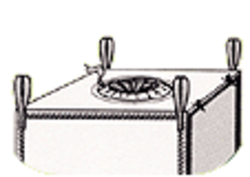 The Conical design provides a gradient for these materials to 'flow' towards the outlet spout. 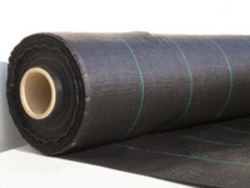 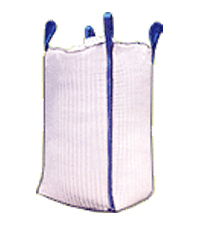 Ventillated or Breathable bags are FIBCs where the fabric has breathable stripes. 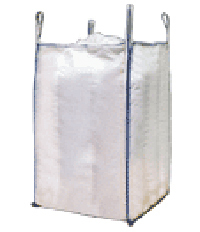 This is useful for products that breathe while packed, especially fruits and vegetables. 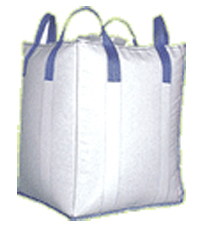 These are special types of bags used for transportation of dangerous materials. 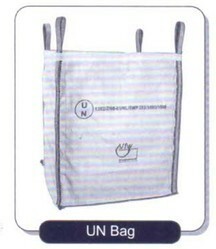 The UN bags are designed and tested in accordance with the recommendation as laid down in the "United Nations Recommendations on the Transportation of Dangerous Goods (Orange Book)"
Conductive bags are bags that conduct the charges generated at the time of filling & emptying of the products. 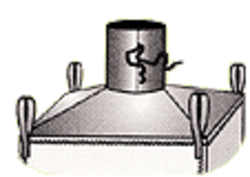 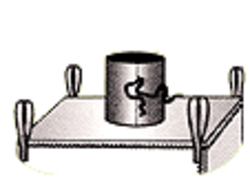 These are essential in explosive environments or where the products generate charges that could lead to explosion hazards.